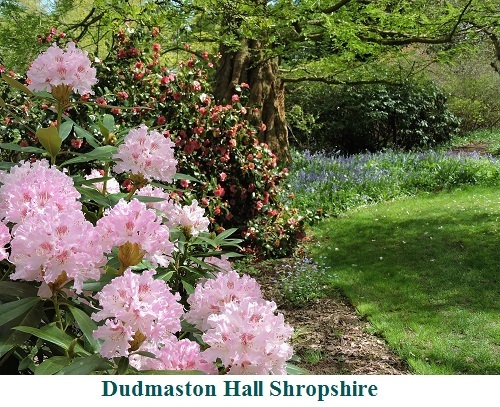 This 17th century House, Dudmaston has delightful gardens which are a mass of colour in the Spring. 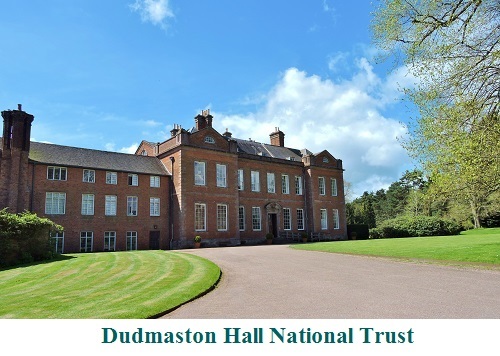 The Gardens at Dudmaston are informal with sweeping lawns overlooking a large lake. 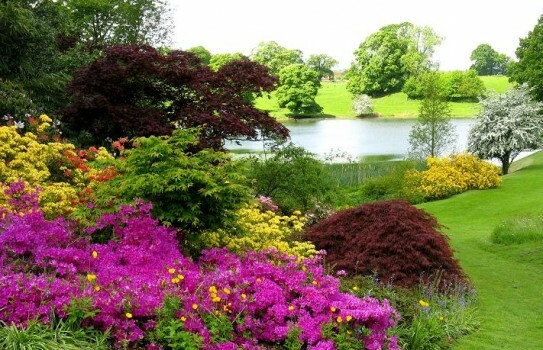 The American Garden to the side of the house has a superb collection of rhododendrons, and lots of blossom in the Spring from ornamental trees. 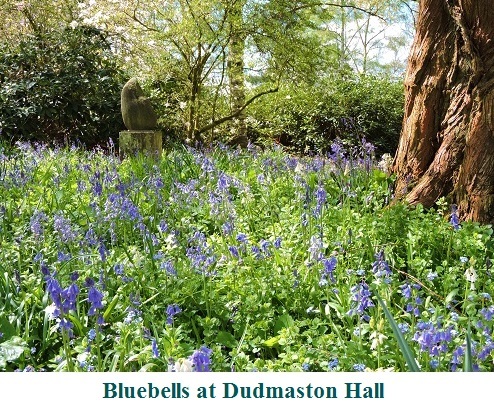 The area has large drifts of daffodils followed by good displays of bluebells. 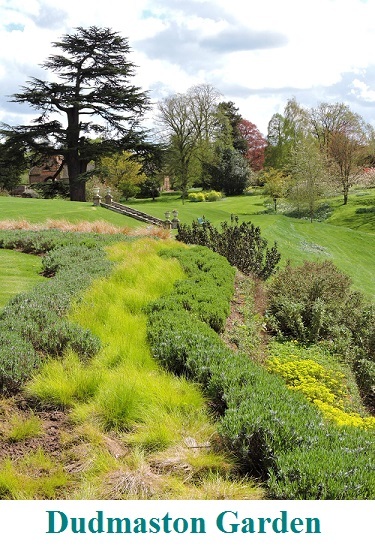 There is a fine rock garden, rose border, bog garden with moisture loving plants and herbaceous borders. 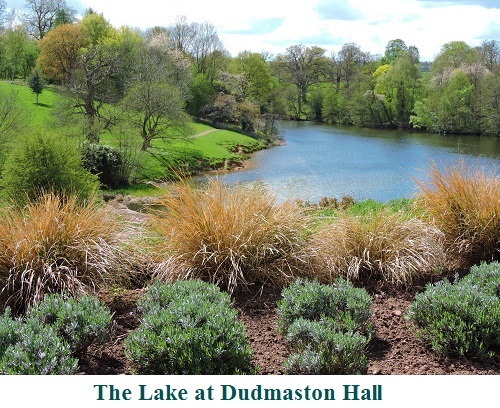 Whilst dogs are not allowed in the main garden there are 2 lakeside walks where you can take dogs. The historic house is also open. 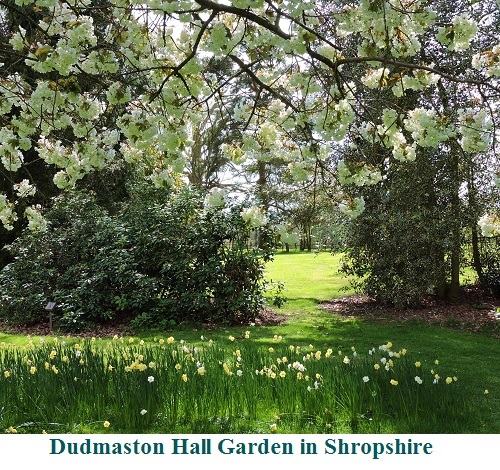 Check website for snowdrop openings and for main season.